Covering I lakh small and marginal farmers of 40 blocks in I2 tribal dominated districts of Odisha. Promoting 650 producer groups and 30 producer companies. 16.000 acres to be brought under irrigation, 8.000 acres to be brought under orchard development. 70,000 farmers will have access to farm mechanization, 30,000 farmers will have shed for goat and poultry. 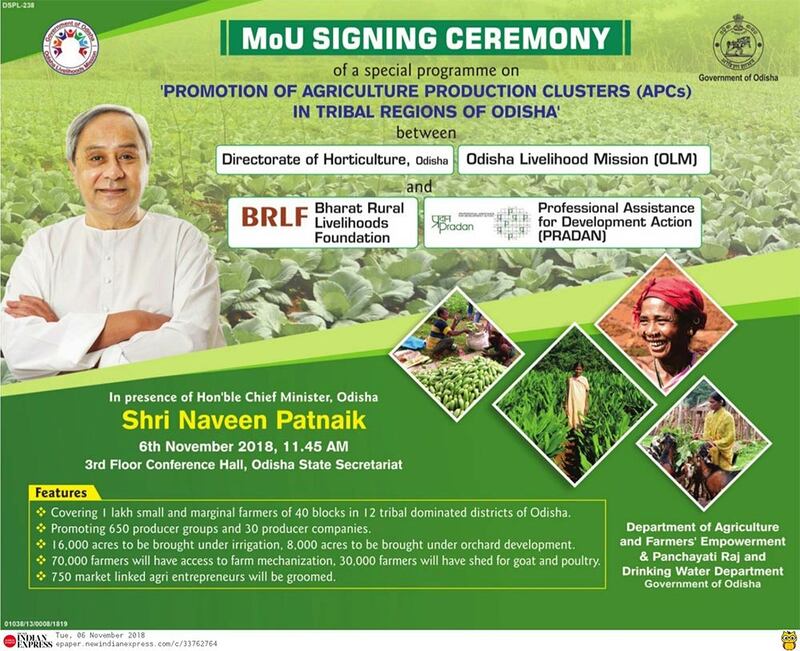 750 market linked agri entrepreneurs will be groomed.